This is one of the best videos I have seen concerning traditional Chinese martial arts, and probably the best I have seen to date that explains the advantages of learning the internal disciplines (which includes Tai Chi Chuan as well as 7 Star Preying Mantis, as described). While the term kung fu as it is used in the West refers to Chinese martial arts, I do not use it specifically here, as the term is much broader than that– and can encompass every pursuit a human may undertake. This is what I love about the Eastern paths; they can permeate and infuse every aspect of life. Everybody was Kung Fu fighting .. Choosing that next martial art? Categories: the tao | Tags: buddhism, Chinese martial arts, martial arts, the tao | Permalink. –Tao Te Ching, Chapter 8, via http://www.Taoism.net and Tao Te Ching: Annotated & Explained, SkyLight Paths (c)2006. Categories: the tao | Permalink. Zero to Hero Day 2: What’s this blog about, anyways? The day 2 assignment is to edit the blog title and tagline, and flesh them out more in a widget. I didn’t really have a title when I started out on LiveJournal ten years ago. When I slowly realized blogs were expected to have a name, I went with “Set sail with Cap’n Jak”, because I was amused by the idea of a pirate persona in the online game I was playing at the time (and still play, actually). When I moved to seemingly greener pastures at VOX, I played around with titles for a while. First it was “the eccentric world of jaklumen”, and then “the eclectic world of jaklumen”. But a friend of mine at the time, who I call my Sifu-of-Sorts, introduced me to the Tao Te Ching, and as I was greatly moved by the text, I eventually settled on “the tao of jaklumen”. As “tao” simply means “way”, I figured it summed up nicely the randomness I wrote about, and it seemed to flow nicely. I decided to keep that title when I came to WordPress on VOX’s closing. LiveJournal didn’t have taglines, but VOX did. Now I was noticing my VOX “neighbors” changed up their titles and taglines– I was told it was fun to change them on a whim, to reflect your mood or whatnot. So I experimented with that for a while. I think they changed mostly on whatever headers I decided to use, which VOX called “banners”. It was “push and pull with the wind” for a while here on WordPress, because I took up kiting as a relaxing hobby, and that sounded Taoist. Then I read The Hero With A Thousand Faces by Joseph Campbell, and it really struck a chord with me. I was amazed that an epic fantasy story I was working on with Cimmorene followed so much of the Monomyth pattern. I literally said “whoa” over and over again. The story was slow going, because some of it was therapy dealing with issues of abuse. I figured maybe I should start blogging about how that idea affected me. For a while, I made the tagline “Till all are one”, from the Transformers movie (the 2006 animated one, not Michael Bay’s stuff). Now, the I Ching is an ancient divination text, but I chose to read it in a philosophical way. I thought that for the longest time, I had walked the path of the sage, being very buried in my books, brooding over endless possibilities of thought, sliding out on tangents in many conversations. But there were signs that maybe I was meant for something more. And if I was writing about the Hero’s Journey in particular, and thinking it had meaning to my life, would that not mean that I would need to walk the path of the hero? I rewrote the tagline a few times, settling on “the path of the sage must become the path of the hero”. Now the text widget describing this blog, well, I’d never really thought about it until today, either. I thought maybe that made some sense, because I was getting a lot of visits to my “About jaklumen” page, but not many of them seemed to be sticking around and reading. I had completely forgotten that many readers might be browsing through a lot of blogs and wanted a quick summary right on my blog’s front page. I just didn’t think of that, because well, I’m an introverted person and I got used to meeting bloggers by way of interaction. Oh, and Calamity Rae asked me about a follow by e-mail widget. She’s self-hosted at the moment, and so I hadn’t really thought about that– I assumed everyone just clicked on “Follow” on the toolbar (which self-hosted doesn’t have apparently) or subscribed to blog feeds in a feed reader. So, I added that widget today. Categories: blogging, The Hero's Journey, The Personal Journey, the tao, Zero to Hero WordPress challenge | Tags: a hero's journey, about, jaklumen, tagline, title, widget, zero to hero, zero to hero blogger, zerotohero | Permalink. I am fighting off terrible pain today, as well as nausea and other consequences of that pain. Here’s a post from the archives– something I wrote when I was still blogging at VOX. Read this as an epic tale, or a real life account, as you will. Once, I was an Idealist, but not in the Platonic sense. I still believe in the spirit element of all things material, but I was as Troile’s children, who fought for the ideals of an ancient kingdom, or even a world, like Caprica. I was wont to despair if others did not share my ideals. I was prone to pontificate, or at least to preach those ideals boldly. Categories: jak's archive, Reblogs, The 10 Year Blogging Journey, The Hero's Journey, The Personal Journey, the tao, Writing | Tags: allegory, cryptic, esoteric, Priest, vox, warrior | Permalink. This is a response to mudlips’s post I want to hope. I thought about what she had to say over and over as I had met and knew people with similar reactions of sadness and anger over human environmental degradation. I was writing a comment and realized it was much too long and needed to be in a post of my own. I was an environmental studies student, and I worked with an environmental educator at city hall. I was a Boy Scout. I have talked with friends that have shared knowledge with me about geology, archeology, anthropology, and how flora and fauna live both in wild and domestic contexts. 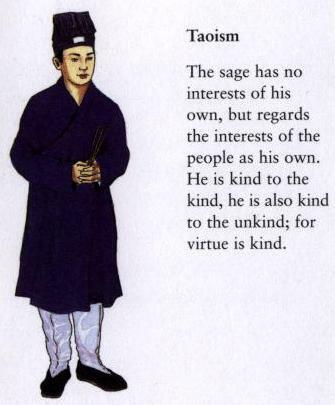 I am LDS/Mormon, but also consider myself a philosophical Taoist. I suppose I am of the stewardship school as far as the Earth. I am reluctant to see the Earth overall as nuturing, comforting, although it can be all those things in particular instances. Mostly, I suffer from nerve damage and other health concerns that have me howling and groaning in pain when the temperature drops, the humidity rises, or there is other clashes of weather. I am grateful for the rain when it comes out here– it waters my humble garden and orchard, but it often hurts like hell these days. I have seen examples that lead me to believe that Mother Nature is impartial, and will slay any wanderer that is not prepared and vigilant. I love technology, yet find some respite in observing nature, and even what view I can get of the cosmos. I see myself as an Indigo Man– I want to know my place in the universe, and have a sense of that place. My wife calls me a “seeker of truth”; as my soulmate, she knows of my ancient quest to know the song of the stars, and the interconnectedness of all things throughout the senses, and the artistic expressions of such. She remembers my friendship with an old music-loving soul that admired my thoughts, although much of the world knows of him much more than it does of me. Categories: blogging, The Hero's Journey, The Personal Journey, the tao, weather | Tags: Boy Scout, earth, Environmental studies, Human, Monomyth, Mother Nature, Scouting, taoism | Permalink. I guess I’ll remain a blogger of the old school. WordPress ate more of my thoughts on this. That could be a good thing. Categories: blogging, Random Thoughts, The Hero's Journey, the tao | Permalink.